It is not an exaggeration to say that there are already thousands upon thousands of articles/interviews available on the internet, in newspapers and on TV channels about the recent developments between North and South Korea. The majority of these political views are contradictory at best, but let’s focus on the authors who claim to be believers of social science. A majority of these analysts fail to explain the reality, some play down the question or even are mute. They are trapped in formal logic to explain their views. In short, they are either skeptical or euphoric regarding the recent images of the two leaders of North and South Korea, hand in hand passing the demarcation line that was forced on them as one nation by foreign powers decades ago. So if one believes in Social Science should she/he be skeptical or euphoric? The answer is neither. We know Mr. Kim runs North Korea inherently with a bureaucratic apparatus. We know that Mr. 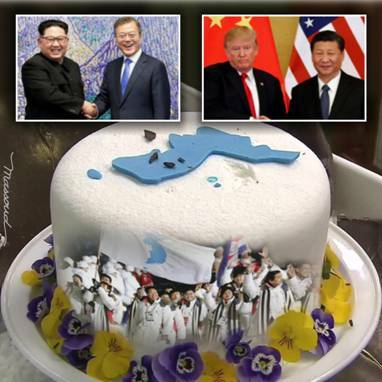 Moon is a representative of the South Korean Capitalists who are connected to Washington like a baby’s umbilical cord is connected to its mother at birth. We know that North Korea is and has been a buffer zone for China’s security against the U.S. military threat. We know today, that Japan as a defeated old imperial power, needs a protector by any means. We also know that the U.S. has lost its hegemony in Asia and Africa since WWII, but still is the most dangerous military power on the earth. Nonetheless, all these facts are not equal or disconnected realities. We have to acknowledge that these realities have the potential and tendency to develop into a new reality, carry a new value and impact on one another which were unthinkable just a few months or weeks ago. The gist of Social Science is to understand the transition of the identified matters at hand. Korea today teaches us the logic of development when the same forces interact with each other in a new setting. 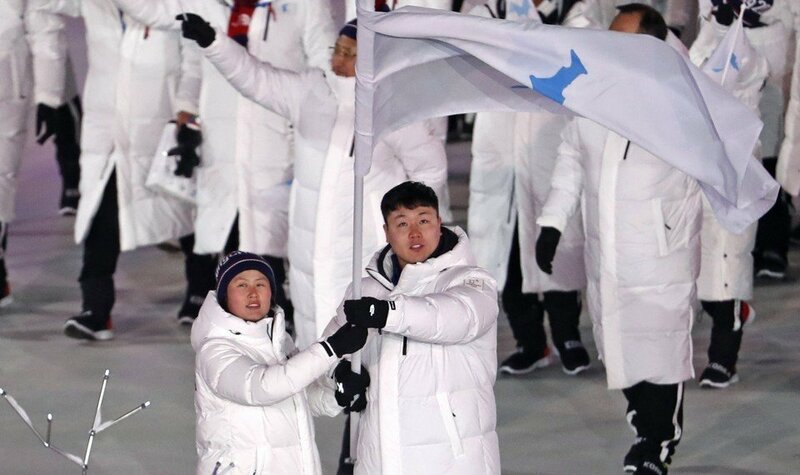 The images of the Winter Olympic ceremonies in South Korea – no matter how choreographed it looked- showed the true desire of divided Korean people to move forward under one flag as one nation. For true peace activists, the role of working families who directly will be affected by these changes should be the starting point. Most articles and analysis about the Inter-Korea Summit don’t mention the role or position of working people in the North or South Korea. We don’t need the corporate media to dictate our understanding of the reality on the ground; peace activists must be on the ground to tell the truth! We have to stand next to the North and South Korean working families. After all, a long-lasting PEACE on the Korean peninsula starts with those who are making the economy of North and South Korea operational today. The “leaders” can change their minds on the turn of a dime and hide in their bunkers in a flash, but the working families will feel the pain if the peace initiative is defeated. The dynamic of a unified and peaceful Korean peninsula could open the gate of peace for the other troubled regions in the world. Social science teaches us to think independent of the impoverished ideology of an illogical system that put profit over people and also to reject the Dogma or Sectarian forms of dialectical logic.